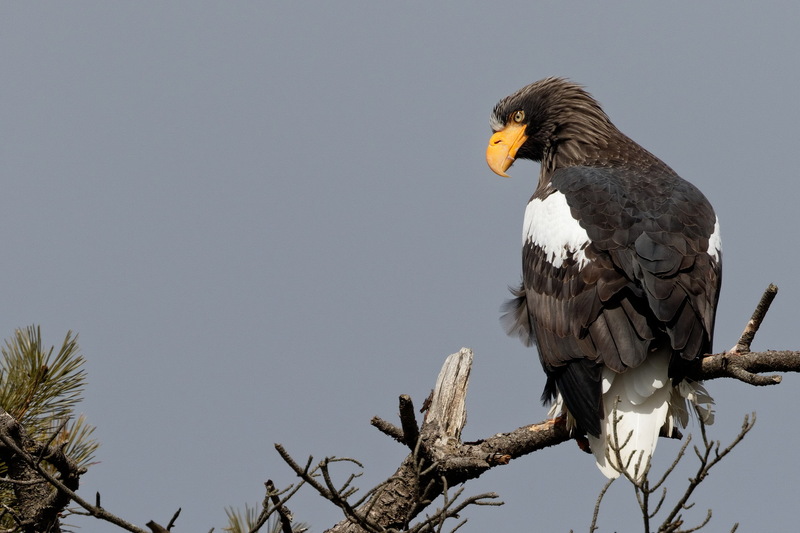 A lone Steller’s Sea Eagle spends late winters on the hillside next to one of the ports east of town. It’s been there for quite a few years……….. It is the nearest reliable place to see this species near Hakodate. It doesn’t afford the same photo opps as those up at Yakumo but sometimes it perches quite low down and regularly flies around the hillside. 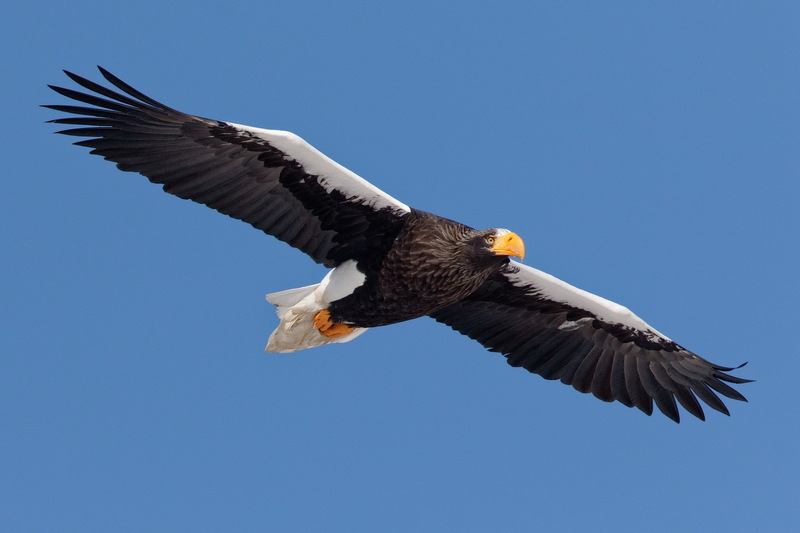 There were 3 White-tailed Eagles around as well as the Mountain Hawk Eagles and a lone Peregrine. It’s still about a 45 minute drive though……..